Authored by Cain Ormondroyd. the Rating and Council Tax Pocket Book is a concise, practical guide to the legal and practical issues surrounding non-domestic rates and council tax. An essential tool for busy tax collection practitioners in local authorities and private practice, it will also be suitable for a range of non-specialist property professionals who may have to deal with rates and council tax matters as part of their practice. This handy pocket guide is accessible to specialist and non-specialist alike, covering everything from key concepts through to liability, exemptions, procedure and completion notices. The book encompasses both English and Welsh law, and includes all the relevant statutory provisions. 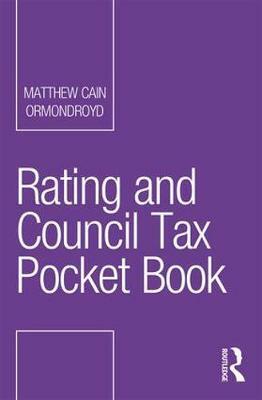 With detailed discussion of key cases, this is a book that no one with an interest in rating and council tax should be without.